When 22% of the entire world’s population is on Facebook, and with every business demanding a piece of the action, it’s inevitable that nothing can remain constant in the realm of Facebook Advertising. 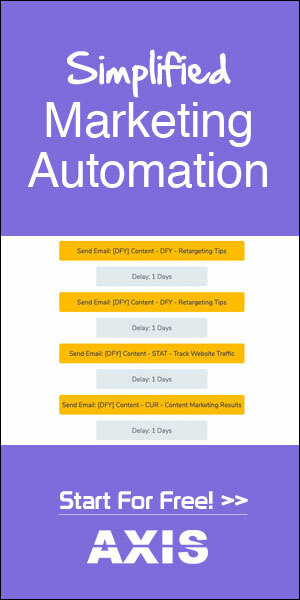 Facebook is always innovating and building the perfect machine for advertising and lead generation. There’s never a single day that goes by without some sort of modifications, changes, or introduction of new advertising features within the Business Manager which is Facebook’s ad management home. The time is up for Youtube that used to be the number one destination to watch online video. It’s now Facebook video that tops the charts. 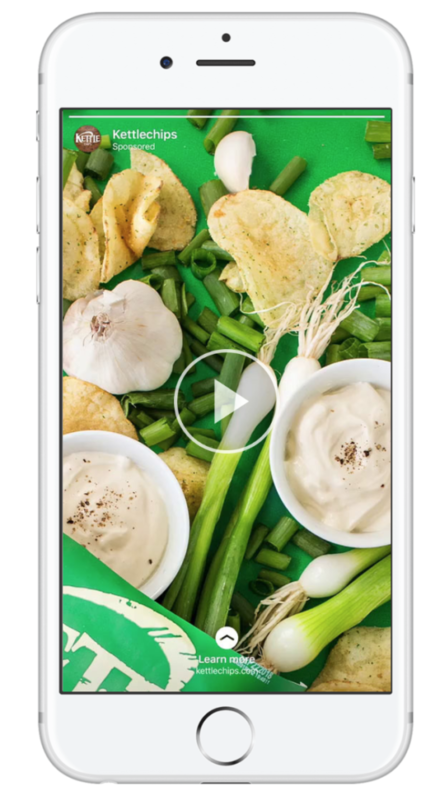 More than 2.27 billion monthly users are hungry to watch videos on Facebook. They’ll take whatever you throw at them, and they won’t stop watching. Scott Ayres of Agorapulse notes that native videos on Facebook command as high as 86% reach. Make no mistake: Facebook is heavily investing in the future of video and it wants you to create content as a business, a publisher, or a creator. On the other side, it wants to keep that retention power of Facebook native videos. But Facebook also knows just how intimidating it is for most marketers and business owners to create video content. That’s why it launched Video Creation Kit. With the brand new video creation kit, you don’t have to spend on big (or small) budget production videos. No, you don’t even need to create any videos with your smartphone. Just take your existing images and text and create videos from within Facebook’s ad manager. The video creation kit comes with simple templates using which you can showcase your products and services. Just add images, your logo, add some text, and you are good to go with smart videos that play anywhere from 6 to 15 seconds. Note: Facebook also provides you with a “cropping” tool to help you optimize the video for platforms like Instagram. Interactivity, visual appeal, and engagement — all three score high on Facebook. That’s exactly what social media is for, right? Facebook already has Instant forms (for Facebook Lead Ads), collections, and full-screen experiences built inside of your Facebook ads manager. More recently, Facebook launched Shopping in stories. Shopping in stories allows you to create immersive, interactive, engaging, and visually-rich creatives letting your audiences just click on your story and get more product details, prices, more imagery related to products, and the important option to tap and get to your shopping cart, straight from Facebook. The forecast for the augmented reality and virtual reality market reveals that it’s going to be $209.2 billion US by 2022. Facebook isn’t just going to sit there and let this pass by. 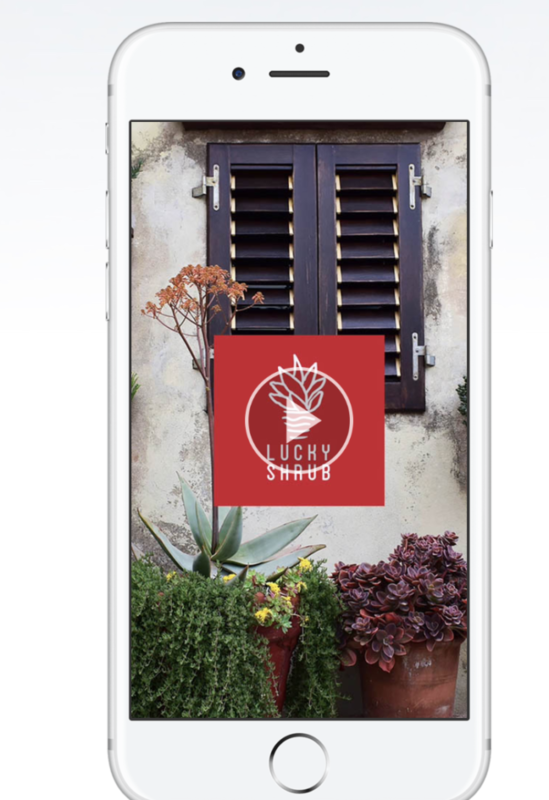 Facebook does what it does best, and it launched Augmented Reality ads (not available for all markets, available only for News Feed, and it’s in Beta right now for U.S). 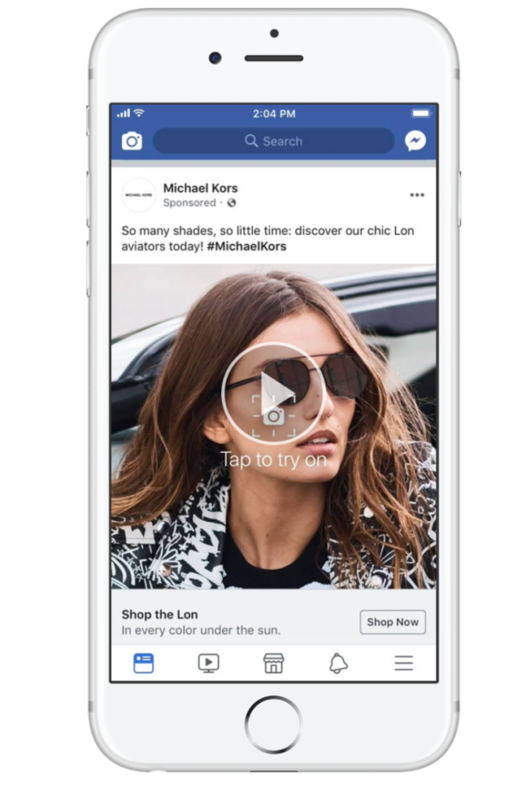 The idea of Facebook’s Augmented Reality ads is to provide for a much deeper and an almost physical experience on Facebook. Consumers could interact, try, play around with, and get a much better sense of products advertised. Instagram stories are already a huge hit. Big brands (and small) are lining up to make use of this window of opportunity called Instagram stories. 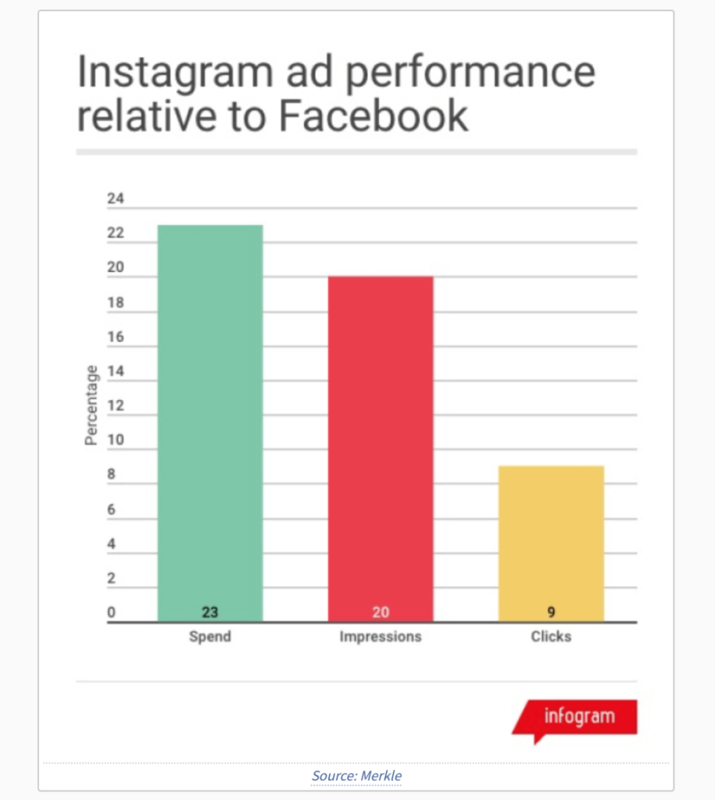 Instagram (although owned by Facebook) beats Facebook when it comes to ad spend. A Merkle report reveals that brands are spending 23% more on ad spend on Instagram than with Facebook itself, and that’s because of Instagram stories. More than 400 million people watch Instagram stories daily, at least 30% of those who watch stories purchase a product, and you get massive real estate with Instagram stories ads. 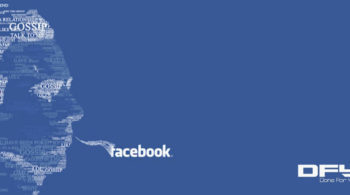 Now, imagine all that coming back to Facebook. With Facebook Stories, you can expand your digital footprint across both Instagram and Facebook (and not one, at the cost of another). Why shouldn’t gaming companies have more fun? Facebook realizes that games are an integral part of the Facebook experience. Gaming companies and independent game developers now have special ads (on top of mobile app campaigns or other campaigns) available for them to reach out to a huge, global database of potential gaming enthusiasts. 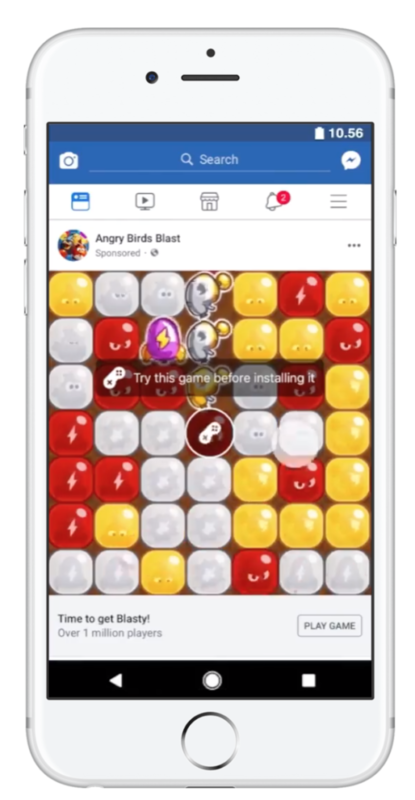 Riding on the runaway success of games such as Texas Holdem, Candy Crush Saga, 8 Ball Pool, Subway Surfers, and several others, Facebook decided to launch what it calls as “Playable ads”. 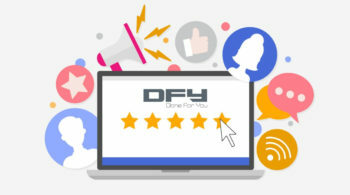 The ads help advertisers provide a “try-before-you-buy” experience for its end users and make ads not only business-oriented but enjoyable as well. 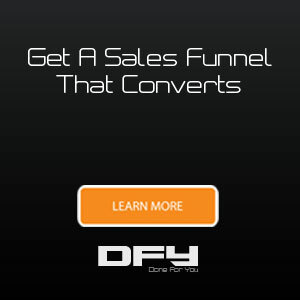 Would you like to have a team of experts launch, manage and optimize your Facebook Advertising Campaigns? 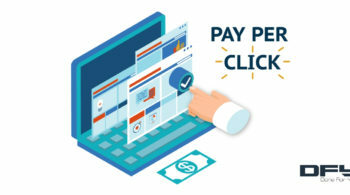 Learn more about our Ad Management services. Are you an agency looking to outsource part of your work or a complete project? Read more about our agency marketing and analytics services.